Book Description: It’s tough to be a droid! When TIE fighters attack the Ghost, it’s up to the cranky astromech droid, Chopper, to keep the ship together. If only his crewmates would decide whether they want him to repair the shields or the intercom…or the shields…or the intercom. Based on the Star Wars Rebels episode written by Greg Weisman, this adaptation by Elizabeth Schaefer succinctly captures the introduction of Hera Syndulla, Chopper and Kanan Jarrus for a younger age group. 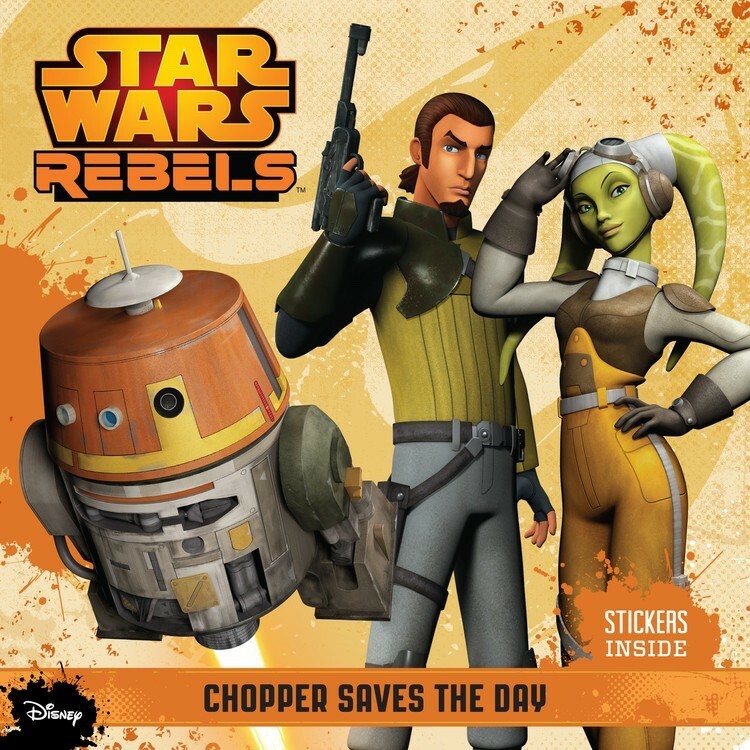 Hera is the pilot and the owner of the starship Ghost, Chopper is the belligerent astromech droid with a mind of his own, and Kanan Jarrus is the leader of the rebel crew. Each personality is bound to clash, and we saw that transpire within the pages of Chopper Saves the Day. Chopper, in particular, doesn’t like being told what to do, especially if he’s being told to do several things at the same time. Many children will find this aspect humorous as they read through the book, making the reading experience all the more entertaining. The action-packed book also contains high resolution images from the episode, successfully connecting the visual aspect of the book with the paragraphs of text. As a visual reader myself, I like seeing images and illustrations because those immediately capture my attention and stimulate my imagination, as it also would for many young and emerging readers. The story itself is fast-paced and there’s never a dull moment, making it a fun read for any situation, especially during reading hour at your local public library. Chopper Saves the Day captures one of the many exciting scenes of the upcoming animated series and takes children on a thrilling space ride. Chopper’s adventure with Kanan and Hera is currently available for purchase in print and eBook formats.